So I decided to get some tank mates for my seahorse that are not other seahorses! I have always wanted to have these tiny cute little gobies. But when I was a store manager at an aquarium store, I noticed sometimes these small fish would fall into the overflow and just vanish after a while. So I have been hesitant to place them in my reef tank. Now that I have an enclosed seahorse tank I think the timing is right! 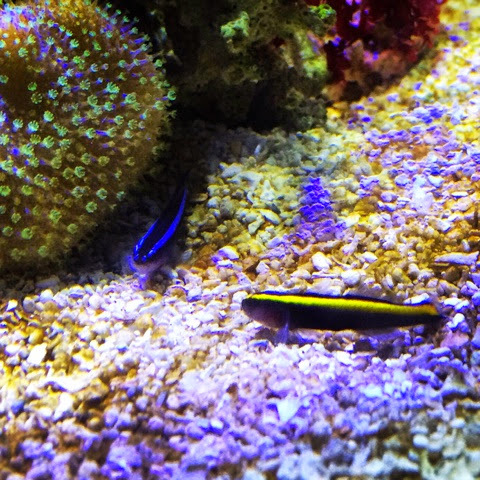 both are ORA captive bred gobies and they are eating frozen and flake food like crazy!